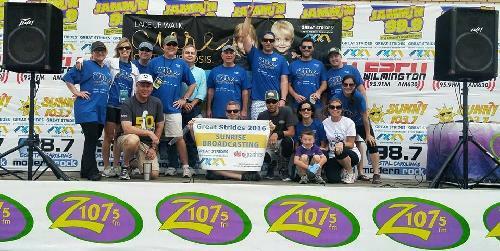 Join Sunrise Broadcasting as we WALK to CURE cystic fibrosis! The Sunrise Broadcasting team walks Four IV! There are approximately 30,000 Americans living with cystic fibrosis. They are moms, dads, sisters, brothers, daughters, sons, friends and co-workers who struggle every day just to breathe. We walk for them. Will you join us? All we need you to do to become a member of our team is click on the "Join our Team" button. From there you can make a donation and start your fundraising.